Hi, We’re Rick & Sharon West, long time residents of Tulsa. We started Ranger Lawn Care to create great looking lawns for homes and business in the Tulsa community because we are proud to call Tulsa home. In fact, Tulsa, Oklahoma has been home for us for many many years. We know that your lawn can say a lot about your home or business before a guest even steps foot inside your home, and that’s why your lawn is a big deal to us. We want you to be able to be proud of every square inch of your property from front to back, North, South, East and West and we’ll help you get that lawn, no matter what size, looking sharp and presenting your home or business in a great way. 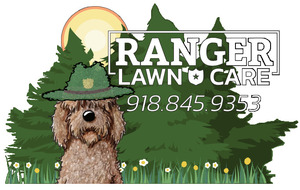 Ranger Lawn Care is committed to providing you with the absolute best lawn care service in Tulsa for your home and business. We want to make sure that your property is presented in the way that is most important to you so that you can relax and enjoy your lawn, or not have to worry about the lawn for your business when a new client arrives. Leave that to us. We’ll make sure folks are impressed from the minute they arrive. We believe that by using quality products and offering great customer service they will continue to be the #1 Lawn Care business in Tulsa and surrounding areas. We hope we get the opportunity to share our passion for lawn care with you soon!